Home › Knowledge Hub › Top tips › Is your website donation friendly? 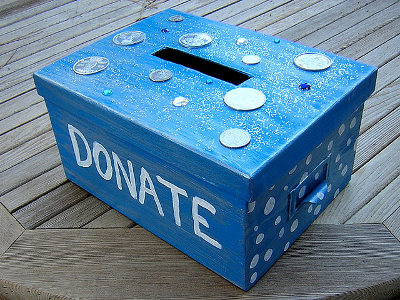 Is your website donation friendly? UK charities are failing to maximise fundraising opportunities by not adapting quickly enough to the growing use of mobile and tablet devices. This is the main finding of our audit of charity websites Optimising Charity Websites for Donations which looked in depth at the ‘donation-friendliness’ of the top 50 UK charity websites. We looked at five key areas – speed of page loading, accessibility, desktop and mobile donation journey, and donation options offered – and found the majority of charities were failing to get to grips properly with the needs and expectations of mobile users. Of the 50 charities, only three (6%) had created donation journeys specific to mobile devices. What’s more, we found 42% of websites are not optimised for mobile devices in any way. Even where a site is optimised for mobile devices, the donation screens from four in five charities (80%) then revert to desktop donation journeys which are poorly suited to mobile. This is despite the fact some charities report as much as 60-70% of the traffic coming to their site is now from either smartphones or tablets. Our audit found most charities have much to do to improve the fundraising effectiveness of their desktop sites. One significant problem is effective content management. For example, the growing use of rich media without the infrastructure to support it was found to undermine the performance of leading charity websites, both from a page speed and accessibility perspective. In the area of desktop donations there were some pretty alarming examples of user experience – seven pages and 20 fields to make a donation being the worst example – as well as either very limited donation options or the lack of adoption of new forms of donation such as PayPal or text giving. These areas are all critical to keeping potential donors on a site and encouraging them to complete a donation. In the report we talk to digital leads, look at common areas for improvement and highlight examples of excellence. These are the charity websites, such as British Red Cross and UNICEF UK, which stand out for the clarity of their content, the ease of navigation and a ‘low-friction’ donation experience – a small number of clicks, pages and fields to complete, and the level of thought which has gone into how prospective donors will want to use the site. There is also guidance about what you can do to optimise your website for mobile devices and we flag up some of the key areas to think about when you are thinking about donation journey, specifically the need to reduce unnecessary data capture fields which puts barriers in the way to donation. We are publishing the report now because we know this is a time of year when many charities are gearing up for the critical Christmas fundraising period. For any charity which acknowledges the need to improve the donation-friendliness of their website, the take-away message is a reassuring one: there are plenty of quick wins to be had through more effective use of your content management system and a review of the content on your site. So while charities do need to urgently think about how they improve their websites to encourage donations, it is possible to make significant progress without breaking the bank. John is business development director - charities and third sector at Eduserv, a not-for-profit provider of IT services. He helps some of the leading UK charities in planning and executing digital and IT initiatives.